Fast, lavish and even insect-like – these trains will take you on extraordinary journeys across Russia to Helsinki, Sochi, Vladivostok and more. There’s no better way to see the country in style! 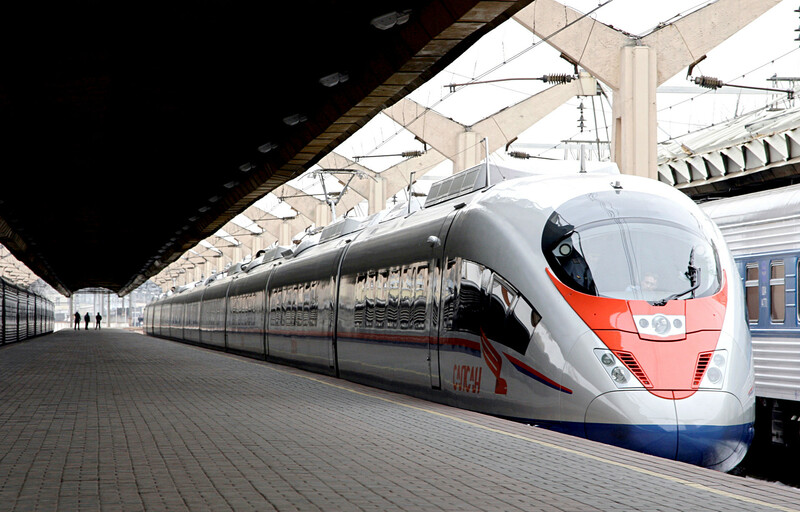 This high-speed electric train connects the two capitals, Moscow and St. Petersburg. 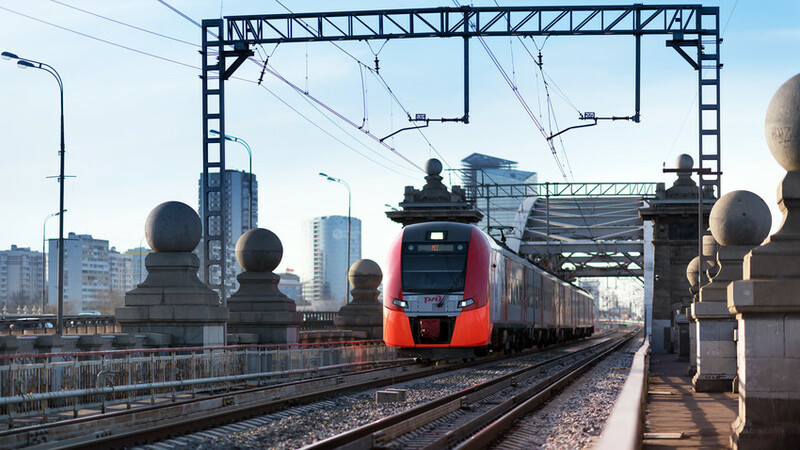 Developed exclusively by Siemens for Russian Railways, this is the fastest train in Russia, reaching speeds of up to 250 km/h. The name translates as “peregrine falcon,” and it looks accordingly: slim and hawkish, which makes the journey from Moscow to St. Petersburg an exceptionally smooth one. 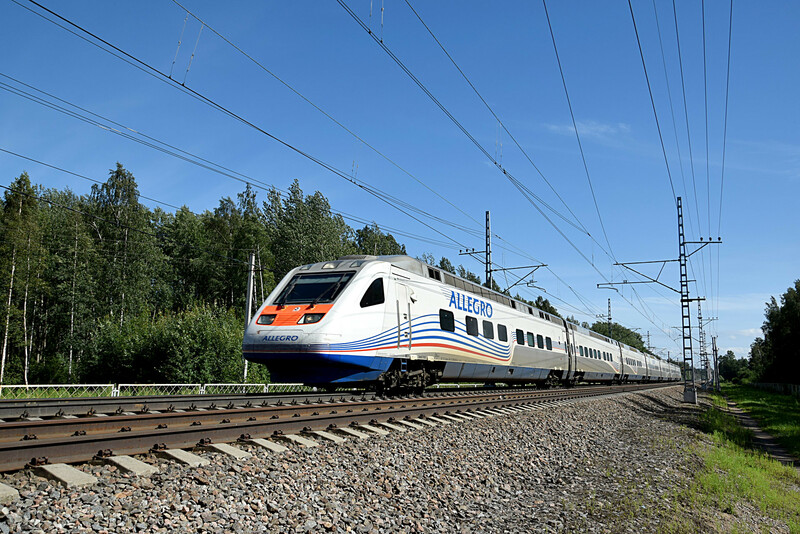 The Allegro high-speed electric train runs from St. Petersburg to Finland’s capital of Helsinki, and back. Although it doesn’t look like a high-speed train, it can travel at 200 km/h, which has cut the trip to 3.5 hours from the previous seven hours. The stripes on the sides are a feature of the train’s exclusive design. 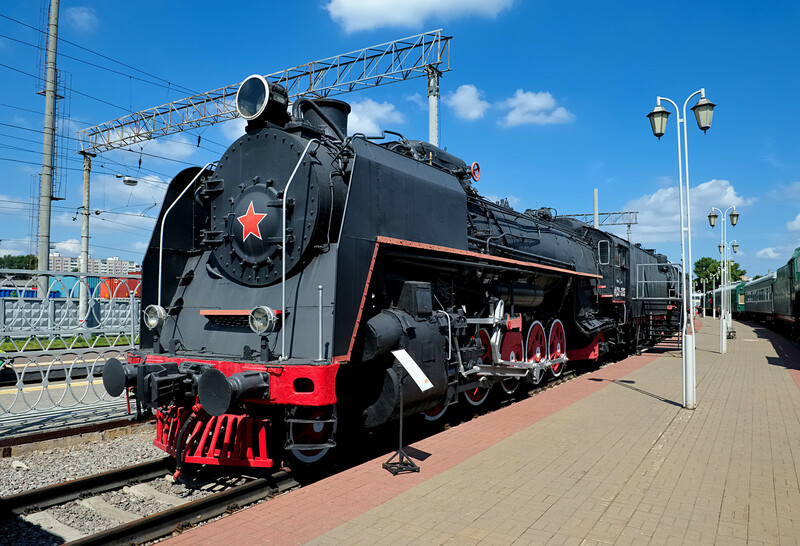 This red and gray commuter train is a real workhorse on Russia’s vast railway system. Lastochka (translates as “swallow,” as in the bird) services the suburbs of Moscow, St. Petersburg, Sochi, Krasnodar, Yekaterinburg, and other cities in Russia. The red and gray design makes it easy to spot, and its comfortable interior is impossible to forget. 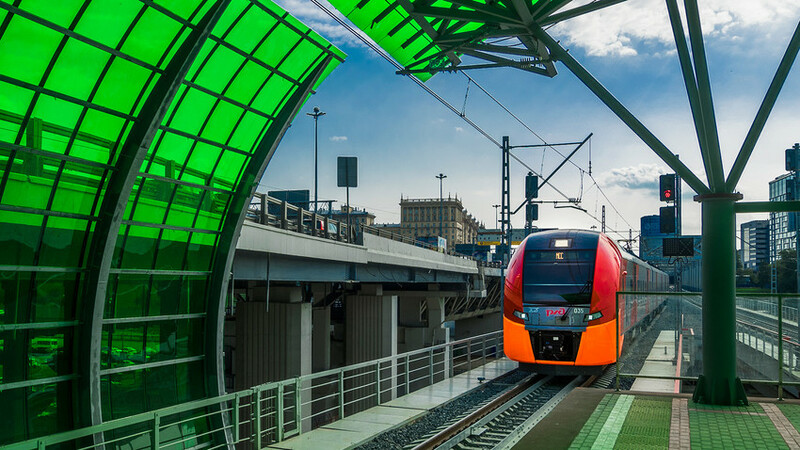 This Russia-made train has an insect-like muzzle and is vividly colored in blue curved half-rings. When the hood “opens”… try not to look its way. Lavish, expensive, and extravagant is how to describe this marvelous train. 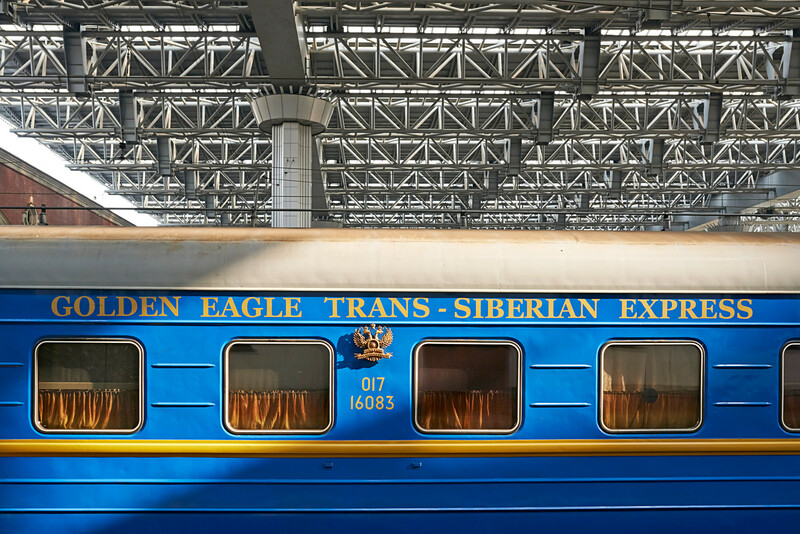 Those dreaming of taking an epic journey on the Trans-Siberian should consider this option. The interior aspires to the level of the Orient Express, even though the exterior is more commonplace. The price tag of the tour is rather frightening, however. A ride in the Imperial Suite costs €30,895 while a Silver Class suite will set you back €15,395. Lots of steam and a slow pace characterize this retro train running between towns in the Moscow Region. If you’re not quite ready to make the trip, then take a look at the trains with help of the website’s virtual tour. Moscow to Sochi on a two-story train? Easy. 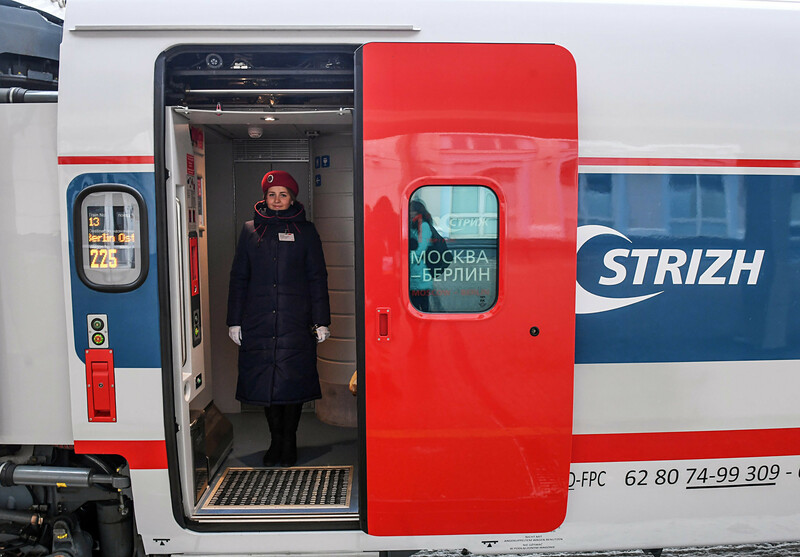 Since this transportation solution is not yet as common in Russia as in other countries, the Sochi 2014 train is something to see in its own right. 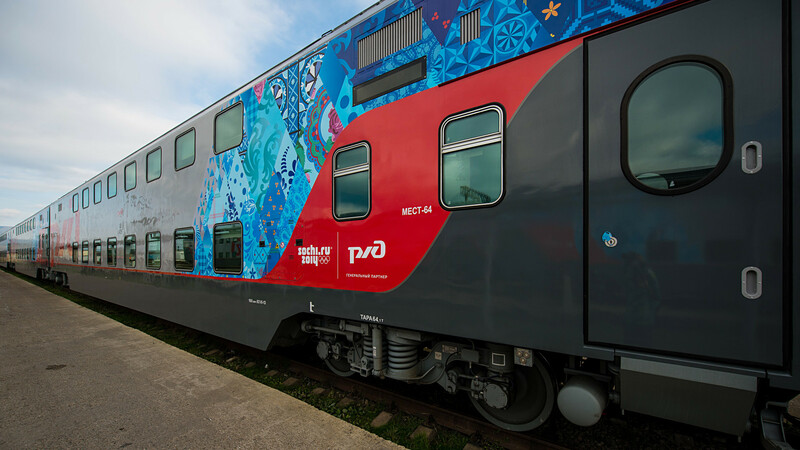 The train is decorated in red and blue with khokhloma inlays, a design dedicated to the 2014 Winter Olympic Games in Sochi. 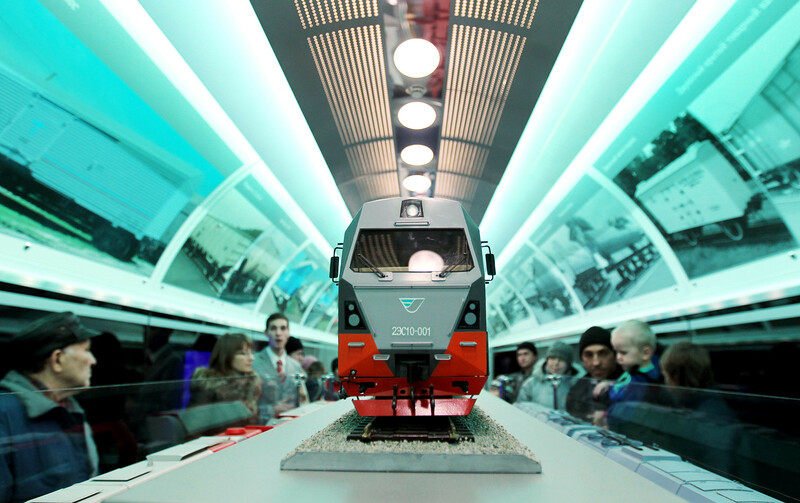 This is not a conventional train but a moving museum that runs across Russia, telling the story of the country’s rail system. Each wagon has a different design, and if you fail to catch the train in your city, you can always take the video tour. Are trains too slow for your taste? Check these 11 examples of airplanes as artworks.